The defending Super Bowl champion Seahawks will host the Giants in the top-priced game on the secondary market this Sunday. In the second most expensive game of the week, the 49ers travel to the Superdome to take on the Saints while the Bears and Packers set to battle in Green Bay. The Lions welcome the Dolphins to Ford Field as the fourth highest-priced game. Across the pond in London’s Wembley Stadium, the Cowboys and Jaguars will meet as they round off this week’s top-priced games. The Seattle Seahawks have gotten back on track over the last two weeks following two consecutive losses to the Cowboys and Rams. They will host the New York Giants at CenturyLink Field on Sunday as the most expensive game on the secondary market this week. 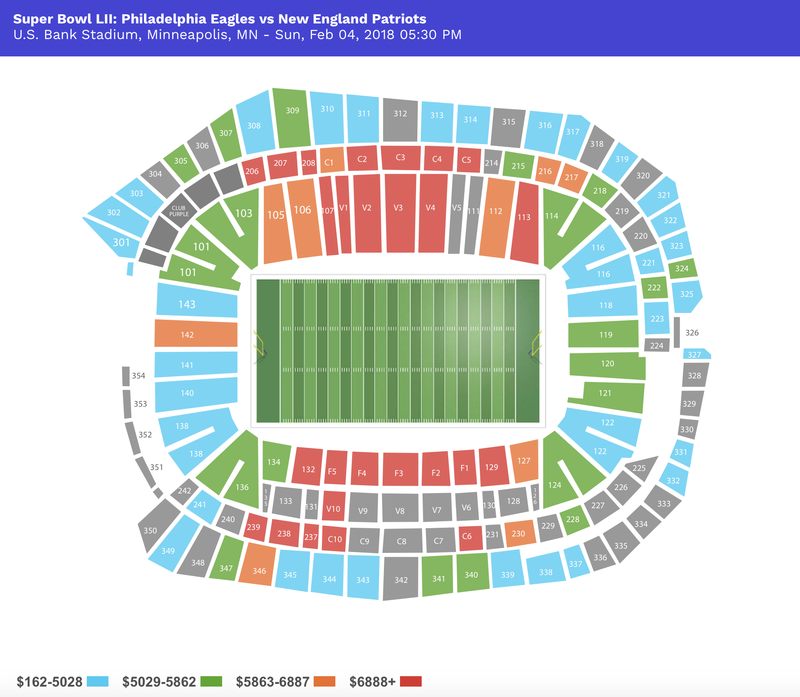 The average secondary price for Seahawks vs Giants tickets is $346.40 and get-in price starts at $128, but it will be the least expensive remaining home game on the Seahawks schedule. The Seahawks have trailed the Cardinals all season long in the NFC West, where their 5-3 record has held no flame to the 7-1 record Arizona owns heading into Week 10. The Giants sit at just 3-4 in the NFC East and head to Seattle with third-place honors in the division. The New Orleans Saints have climbed back to .500 after beating the Panthers over the weekend and now sit in first place in a weak NFC South. They take on the San Francisco 49ers at home this Sunday and will see the second highest secondary average this week. The average price for Saints vs 49ers tickets is $327.32 and get-in price starts at $126 on the secondary market, the most expensive game on the Saints schedule. The 49ers travel to New Orleans following a difficult loss to the Rams and also own a .500 record. Unlike the Saints, however, the 49ers find themselves in a competitive NFC West and trail the 7-1 Cardinals considerably. They’ll need a big win at the Superdome this Sunday as the second half of the regular season continues. In the middle of the price pack this week are the Chicago Bears and Green Bay Packers, who meet at Lambeau Field this Sunday. The average secondary price for Packers vs Bears tickets is $302.16. the most expensive game on the Packers schedule. Get-in price starts at $106. One of the most illustrious rivalries in the NFL, the two teams last met at Soldier Field in Week 4, where the Packers cruised to a 38-17 win over the Bears. The Bears now sit in the basement of the NFC North at 3-5 while the 5-3 Packers look to catch the Lions atop the division. The Detroit Lions have played considerably well this season and own first-place honors in the NFC North heading into Week 10. They’ll host the Miami Dolphins at Ford Field on Sunday, where average price for Lions vs Dolphins tickets is $204.92 and get-in price is currently $81 on the secondary market. The Dolphins have won three straight games and will head to Detroit with a 5-3 record. Each team in the AFC East has compiled a winning streak besides the struggling Jets, who have lost their last eight and sit in last place in the division. The Jacksonville Jaguars and Dallas Cowboys schedules will take them abroad this Sunday when they meet at Wembley Stadium in London as part of the NFL International Series. The last of three games held in London this season, Sunday's game will serve as the fifth most expensive game of the week. The average secondary price for Jaguars vs Cowboys tickets is $200.81 and get-in price starts at $73. The Jaguars sit at just 1-8 on the year, but the Cowboys have also struggled in recent weeks after losing their last two games against the Redskins and Cardinals. They’ll need to take a win in London in an ever-increasingly competitive NFC East.